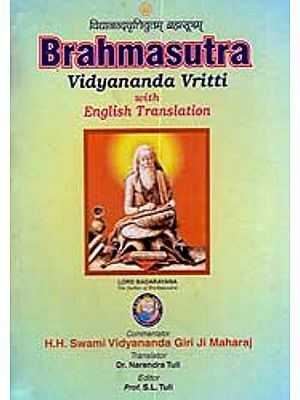 Brahmasutras and Their Principal Commentaries is a vigorous, animate and thought-provoking treatise on the interpretation of the Vedantasutras of Badarayana. Dr. Sharma has delved deeply into the three principal traditions of their interpretation established by acaryas: Sankara, Ramanuja, and Madhva. This is the first work on the Sutras to give parity of treatment to all the three principal traditions of interpretation by placing them in their own milieu and bringing them into close thematic relation with one another, allowing full scope for each one to speak in its authentic voice. The exegetical, the expository and the analytic aspects of the interpretations have been given the fullest attention in a coordinated form, for the first time. Besides the bhasyas of the acaryas, we are here treated to a sumptuous feast of the niceties and nuances of their exposition and reinforcement by their distinguished subcommentators like Vacaspati Misra, Amalananda, Sudarsana Suri, Jayatirtha, Vyasatirtha, Vadiraja, Raghuttama, Raghunatha, Raghaendra Swamin, and others whose works are not available to us in English translations. The disquisitions from these unexplored classics of the Vedanta system are sure to regale the tarkarasikas among students of philosophy in the East, in the West, and in the Far East. It is only such a thoroughgoing study of the Sutras and their classical commentaries that can help us in our voyage of discovery to where the Sutras of Badarayana intend to lead us. Dr. B.N.K. Sharma was a distinguished Sanskrit scholar and retired as Professor and Head of the Department of Sanskrit and Ardhamagadhi, Ruparel College, Mumbai. His other important works are: Madhva’s Teachings in His Own Worlds; Philosophy of Madhvacarya; and History of Dvaita School of Vedanta and its Literature. We have great pleasure in placing before Sanskrit Scholars and Students “The Brahmasutras and their Principal Commentaries” by Dr. B.N.K. Sharma, an eminent Professor Sanskrit. The importance of the Brahmasutras in the evolution of Indian Philosophy need hardly be emphasized. In the present work Dr. B.N.K. Sharma has critically examined the commentaries of Sankara, Ramanuja and Madhva, the great exponents of Indian Philosophy. Besides, Dr. Sharma has also introduced the niceties of their exposition by other distinguished commentators like Vacaspati Misra, Amalananda, Sudarsana Suri, Jayatirtha, Vyasatirtha and others. The present volume covers the whole of the Samanvayadhyaya and the first Pada of the Avirodhadhyaya. 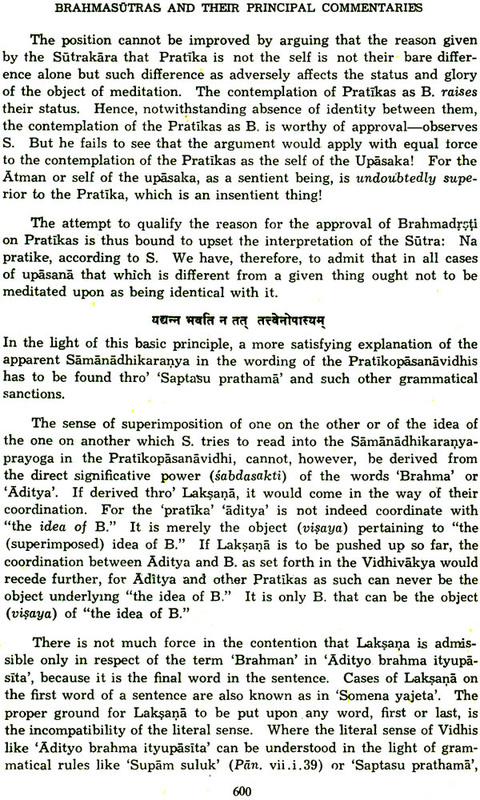 The author has emphasized the Madhva view that “Sastra” in the Samanvayadhyaya should be interpreted in a very broad sense and that the purpose of such samanvaya of Sastra in Brahman is, as pointed out by Madhva, to expound the Gunapurnatva or infinitude of Brahman, its Bhumatva, its immanence in the universe (Visvantarya-mitva) and transcendence (Visvatitatva) in all its completeness. 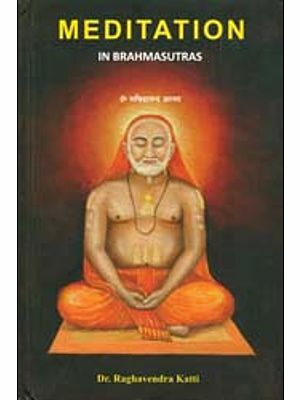 We are confident that this study of the Brahmasutras by Dr. B. N. K. Sharma will prove an enlightening tool to the Tarka-rasikas of both Indian and Western Philosophy. 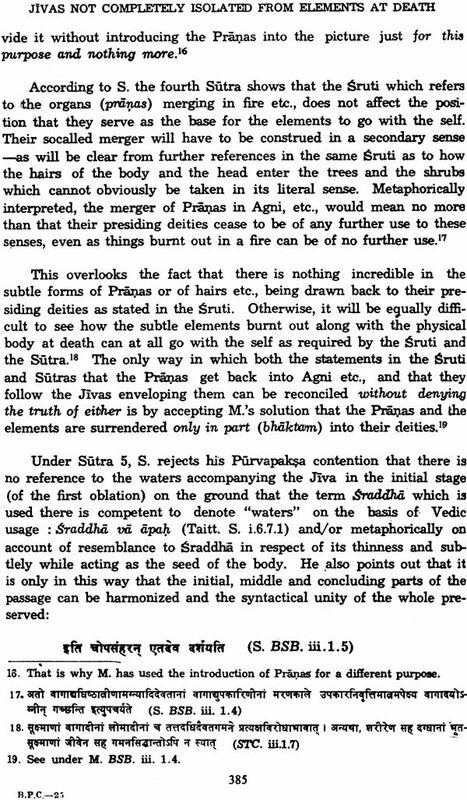 It may not be usual to use the concept of revelation for understanding the Vedanta systems as a phenomenon of the history of philosophy. By revelation (srutih) we mean that word that is believed to have been addicted to man as the transmitter of saving and liberating knowledge, whereby man is basically the receiving, listening part only. 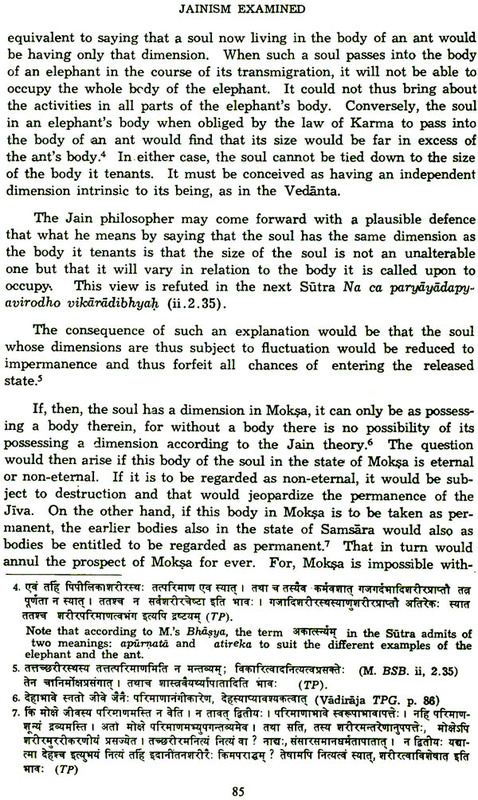 If we speak of this revelation in terms of texts, we understand here the last stratum of Vedic literature, the Vedantah, corresponding more or less to the older Upanisads, though strictly speaking, the canon of revelation is an ideal reality not necessarily confined to a special number of Vedic texts. For our purpose, it is irrelevant if Vedic literature as a whole or in later times even statements of other authoritative traditions are considered to be revelation. It is this formal concept of revelation (Srutih) because of its historical prototype traditionally called Vedantah that unites the historical diversity of the different Vedanta schools within the “power-lines of one field” and that makes it reasonable to call the various and philosophically heterogeneous systems by the one name “Vedanta”. 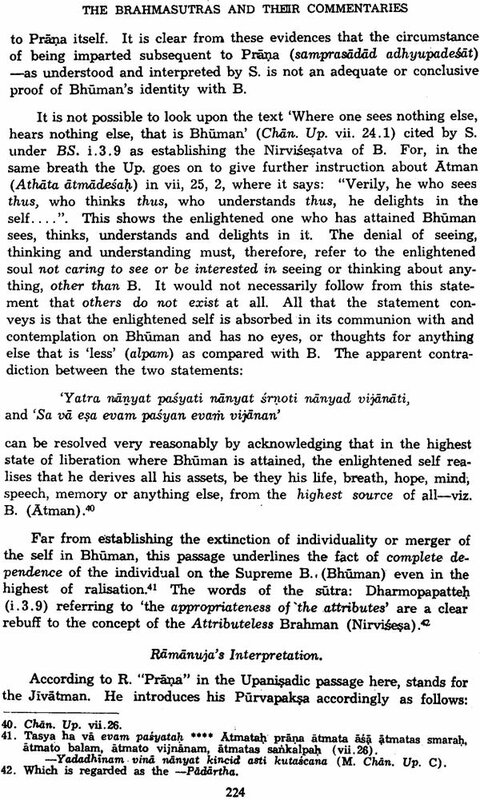 Essentially, all Vedanta-systems of thought appear as theological rationally reflected exegesis of those statements which, belonging to the traditions of revelation, are conceived of as transmitting the liberating knowledge and are after a long process conceptually structured and for the first time brought into a system in the Brahmasutras. 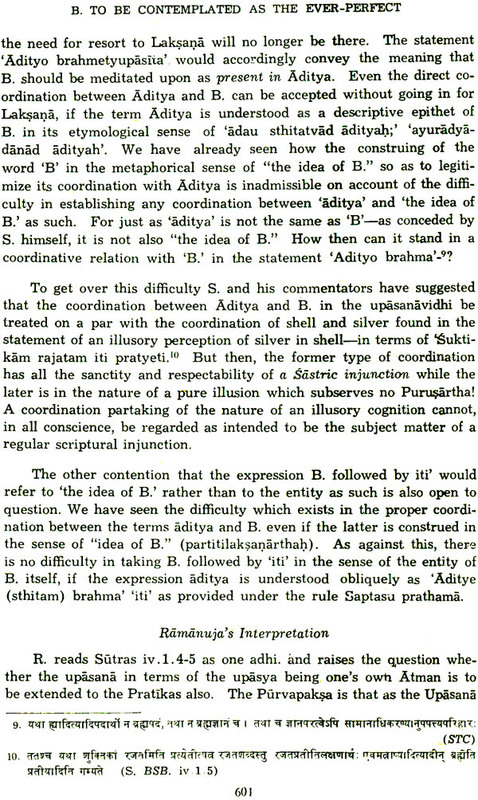 In the form of the dialectical unity of original statement of revelation and its conceptual explication within the system of the Brahmasutras, revelation became the historical basis and canon of the formation of concepts within the Vedanta-schools. Is it not this dialectical correlation which is meant by the words of Jayatirtha when he says: a correlation which occurs again on the secondary level of the formation of systems? In the course of history it remains the intention of the Vedanta-theologians to interpret this dialectic whole of liberating knowledge of revelation and its first conceptual structurizing in the Brahmsutras in continuous efforts. 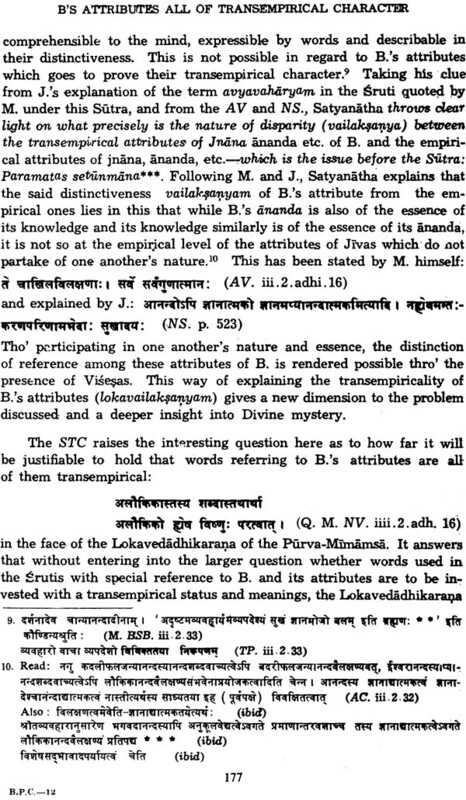 Whether it is Sankara, Bhaskara, Ramanuja or Madhva-to mention but the oldest extant commentator-all of them have tried to understand from their philosophical and religious position the venerable text of the Sutras against revelation (Srutih) as the prospectus of interpretation and to prove through the canon of revelation their own philosophical thoughts as true expressions of the liberating knowledge contained in it. 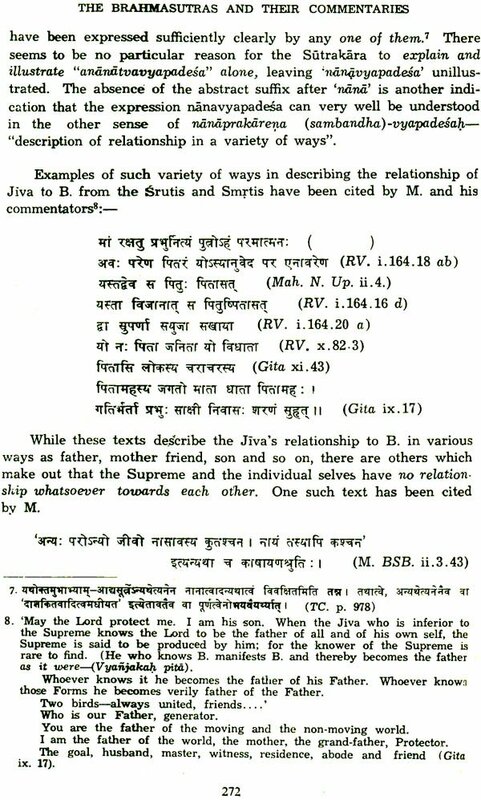 This is attested by the fact that beside the commentaries on the Brahmasutras we find commentaries on the most important Upanisads and the Bhagavadgita-the inclusion of the Gita obviously being a testimony of Theistic Vaisnava trends in the Vedanta-tradition, from very early times onwards. 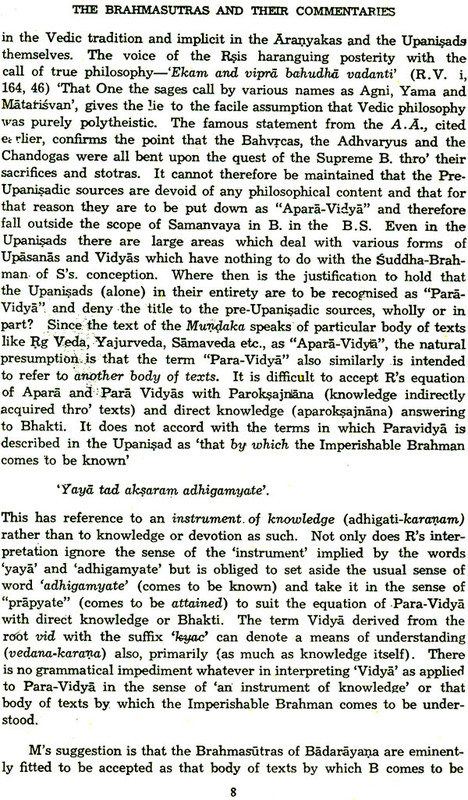 These texts-at least conceived as ideal prototype, form as Prathanatrayam the basis and source of the Vedanta-tradition of thought, which on account of the mutual influence of revelation, contemporary philosophy and individual position of the respective thinkers was bound to develop into that historical plural-ismus of a religious world-interpretation that is represented by the different Vedanta-systems. 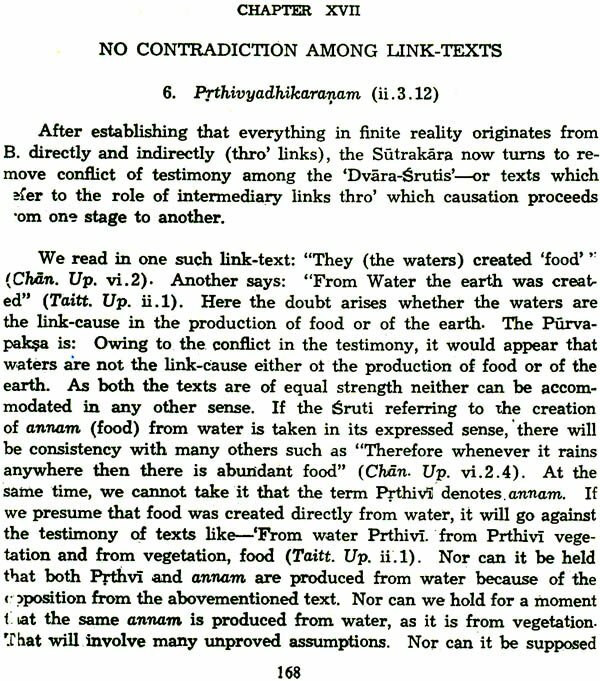 It is this “power field” of the many Vedantistic explanations of the Brahmasutras on the one hand and the original meaning of this first conceptual structurizing of saving knowledge of revelation (srutih) on the other hand, where the present work of Dr. B.N.K. Sharma takes its stand by asking for the original, i.e. the statements of revelation authentically interpreting sense of the Brahmasutras. This question is answered from within the tradition of Madhva and his school starting from the Sutra-interpretation of the great Acarya. Confronting it with those of Sankara and Ramanuja, Madhva’s often widely differing opinion is made clear as to its motivation and argumentation. Advantageously, the broad background of interpretation at disposition of this learned Savant in the field of Dvaita Vedanta includes the vast literature of subcommentaries-e.g. the Bhamati and Kalpataru for the Advaita, Sudarsana’s Srutaprakasika for the Visistadvaita and the works of Jayatirtha and especially Vyasatirtha and Raghavendratirtha for the Madhva-school of thought, to mention just the most important ones-offering thus a large amount of material unexplored until today, as most of these works are not accessible in translations and the authors of the Madhvasampradaya have begun to gain the attention they deserve only in more recent times. Only one who knows the difficulty of these texts from his own experience will be able to estimate the merit of this new work of the renowned scholar and do justice to its objective of ascertaining in one big project the Sutra-interpretation of Madhva and his school and the historical controversy with the commenting-traditions of its opponents, filling thereby a deeply felt gap in the literature of Vedanta-research. 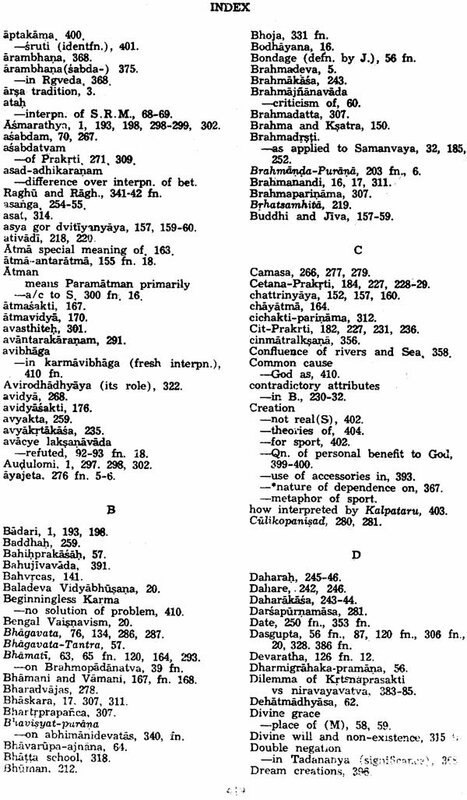 These modest words of introduction would remain incomplete if they do not mention the meritorious share of the Publishers, the Bharatiya Vidya Bhavan, who by including the work in the Bhavan’s Series have given the author the good opportunity of publishing the results of a long research truly devoted to Bharatiya Vidya, which without their help would have remained inaccessible to the world of Indology. Down the centuries nearly a score of commentaries have been written on the Brahmasutras, which hold the masterkey to the understanding of the Para-Vidya of the Upanisads. Of these the Advaita, Visistadvaita and Dvaita traditions of their interpretation associated with the names of Sankara Ramanuja and Madhva represent by the large the widest possible points of departure of philosophical thought emerging from the Upanisads. These three traditions deserve our most careful study. The vicissitudes of history have given a dominant position to the Advaita tradition which has been most vocal in the post and has produced an abundant philosophical literature in Sanskrit. In modern times it has received a fresh impetus from writers of the nationalist period in Indian history like Vivekananda, Radhakrishnan and others following their lead. 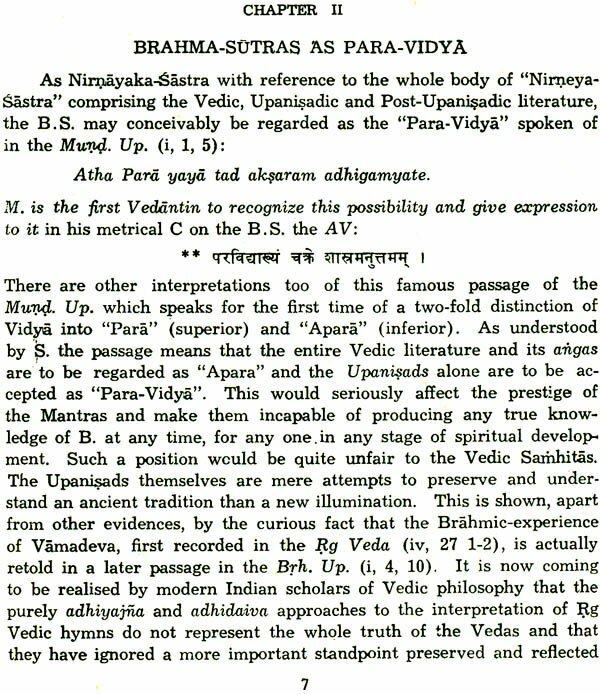 The impression created by such influential exponents from public life has led to an exaggerated importance being given to the Advaita tradition of interpretation of the Upanisads and the Sutras at the expense of the other two, in the curricula of Indian philosophical studies in the institutions of higher learning in this country and abroad. This has created an imbalance in the approach to the Vedanta even among many of our seasoned academicians, which is far from healthy for the rising generation interested in the pursuit of truth. 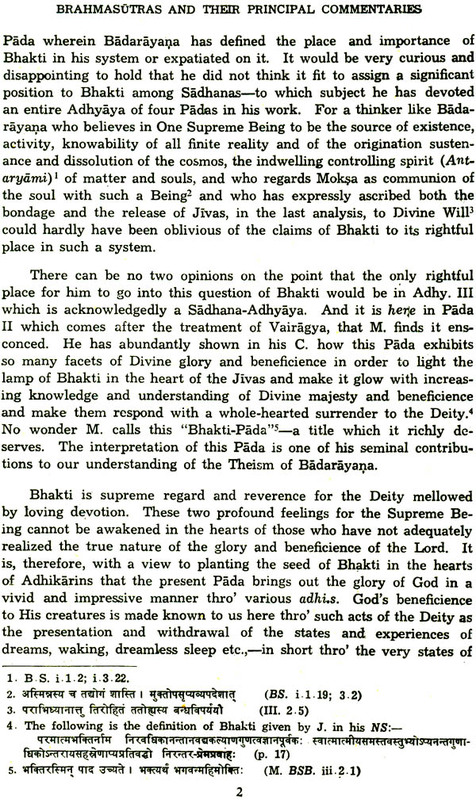 Thanks to the widespread interest roused in Indian philosophy among a considerable percentage of thinking men and women, particularly in the western world by the dynamism of the ISKCON Movement, there is a shift in emphasis and interest in the public mind in response to its resounding call of “BACK TO GODHEAD”. This is an opportune time for ridding the minds of students and scholars of Indian philosophy all over the world of any lurking mental reservations against giving parity of attention and treatment to all the three distinctive traditions of interpretation of the Brahmasutras (which systematize the philosophy inherited from the Vedic and Upanisadic periods) and paving the way for providing ample opportunities for all to be equally fully and authentically acquainted with each of these traditions of interpretation of the Brahmasutras, in relation to one another. This is absolutely necessary to have a clear background of ideas and sufficient data for embarking upon any valid discussion of the problem of where the Sutras of Badarayana are intended to lead us or for one’s own enlightenment. 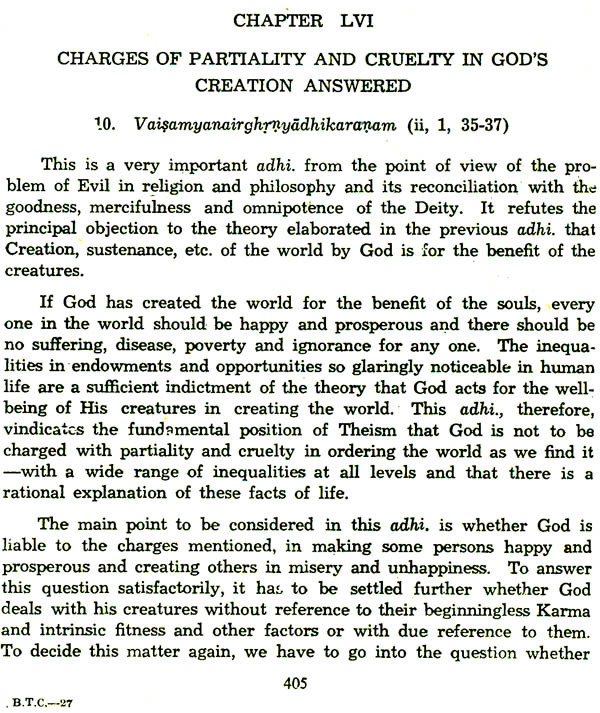 I have watched and seen the baneful effects of this prevailing imbalance of attitude and approach to the triple traditions of Vedanta philosophy for many decases in my life as a student, a Research scholar and as a Professor who has taught the subject for over three decades, in more than one University in India. I have therefore sought to rectify this imbalance in my own humble way by gently but firmly disengaging the study of the Prasthanatrayi from the excessive hold of the Bhasyas of Sankara, great as they are in many respects. I have therefore taken the bold step of raying aside chronological priority in commencing this exhaustive critical study of the “Brahmasutras and Their Principal Commentaries” of these three traditions with the interpretations of Madhya and his school. This may help to take a second look at these Sutras from a fresh perspective, regardless of what the readers have hitherto been conditioned to expect find in them. I have explained this point in the preface to the first volume of the first edition and there is no need to repeat and there is no need to repeat what has been said there. Looking to the proverbially slow pace of progressive thinking in India I am really gratified to find that there is a pressing demand for a Reprintfo, the three Volumes of the first edition of my work within less than a decade of its first edition. I thank Messrs Munshiram Manoharlal Publishers Pvt. Ltd., New Delhi for coming forward to meet this demand, by reprinting all the three volumes of the work at the same time. This is sure to have a decided effect. 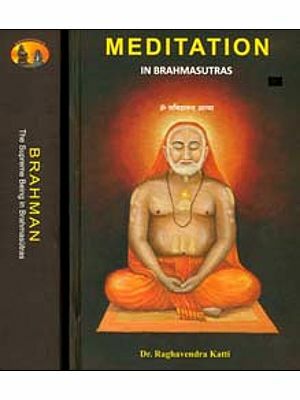 This work on the Brahmasutras and their Principal Commentaries is intended to enlarge the scope and widen the area of our present-day study of them and give it a greater depth of thought-content. At least three principal traditions of interpretation of these Sutras have come down to us from the cogitations of the past. But except the commentaries of the Acaryas Samkara Ramanuja and Madhva who founded them very little is known to modern scholarship of the work done by their renowned commentators like Vacaspati Misra, Amalananda, Sudarsana Suri, Jayatirtha, Vyasatirtha and Raghavendra Tirtha, by way of exposition and reinforcement of their respective traditions of interpretation. Their writings are not accessible to modern scholars as there are no English translations of them. in the circumstances, creative thinking and writing on the interpretation of the Sutras drawing ideas and deriving inspiration from a first hand study and examination of the valuable materials contained in these source-books have not been able to make any notable progress at the hands of modern scholarship, so far. And these is little hope of their being able to do so until the study of these Sutras in our Universities and elsewhere and the literature produced on the subject are freed from the excessive influence of Samkara’s Bhasya, great as it is in many respects. It must be realized without any kind of mental reservation that the other interpretational traditions are entitled to the same scholarly interest, intensive study and attention. The conscience of modern philosophical scholarship in Vedanta does not seem to have awakened as yet to this realization. It is time to awaken it. By way of gently but firmly disengaging the study of the Sutras from the excessive hold of the Samkara-Bhasya, I have taken the lead in commencing this study of the Sutras with Madhva’s interpretation This may help the reader to adapt himself to looking at the Sutras in a fresh light regardless of what he has been conditioned to expect to find in them. 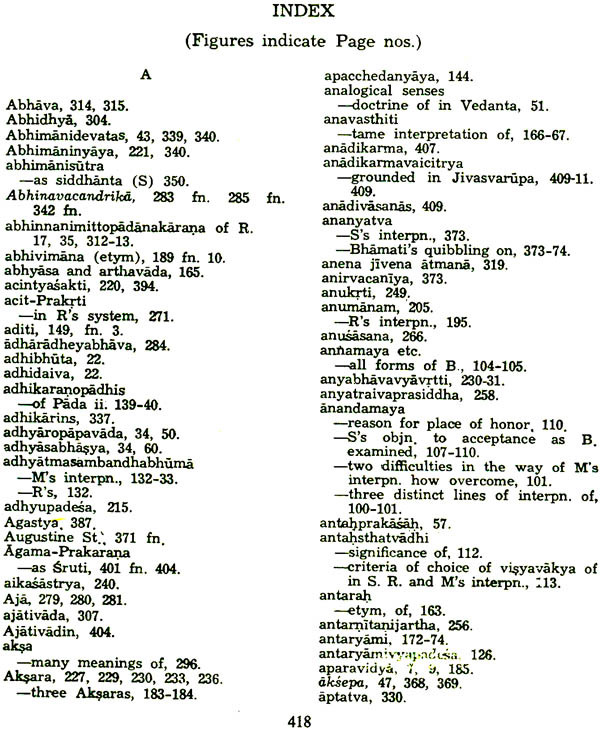 In most of the known works in English, written specially on the Brahmasutras, Madhva’s interpretations have generally been ignored or have been only perfunctorily “noticed”; or else dismissed in a few words as “a performance of little or no merit.” This injustice to one of our principal commentators on the Sutras have to be remedied by the new generation of scholars. 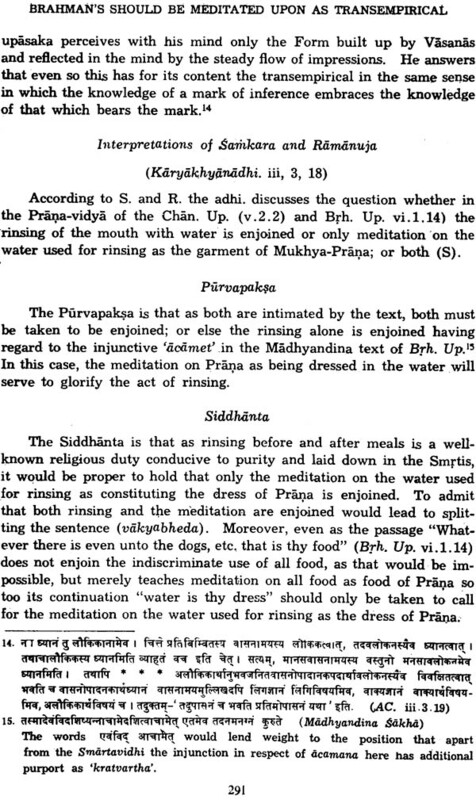 It would help very much to bring about a fresh climate of opinion to lay aside chronological considerations and study the Sutras with Madhva’s interpretations in the first place and then turn to those of the other two and note the difference and compare notes. 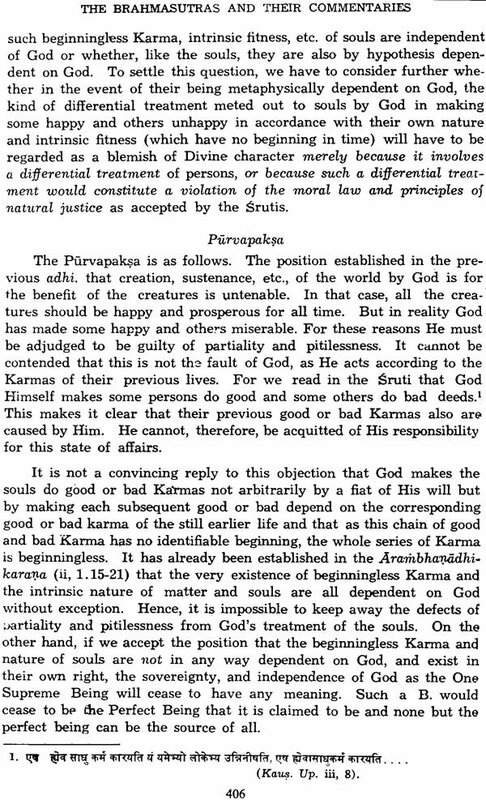 Thanks to Thibaut’s famous review of the divergences in interpretation of the Sutras between Samkara and Ramanuja, in the introduction to his translation of the Samkara-Bhasya (1890), seminal ideas have emerged as to why Ramanuja chose to establish a new tradition or revive an older one of Sutra-interpretation. 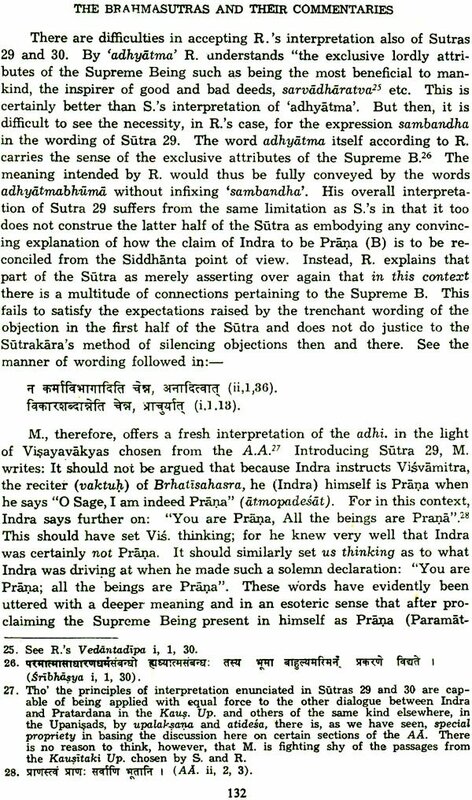 The philosophical world has been waiting since then for similar light to be thrown on the wider differences in thought and interpretation which separate the third principal interpreter of the Sutras: Madhva, from his two illustrious predecessors in the field. I have tried to fill this gap to the best of my ability, without waiting indefinitely for the appearance of the ideal person to do the work. 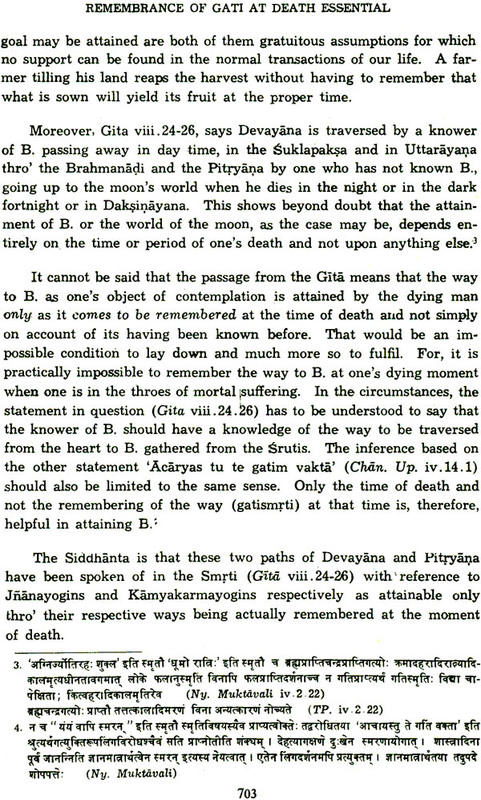 Without a complete study of these three principal traditions of interpretation of the Sutras, in their relation to one another, it would be difficult to have a clear and firm background of ideas and sufficient data for entering upon a valid discussion of the problem of the where the Sutras of Badarayana are intended to lead us. I hope the present study, which gives the different interpretations in their own authentic milieu and views them in relation to one another in the light of accepted principles, will be in a position to provide the indispensable background and the corpus of materials necessary for investigating the problems connected with these Sutras. 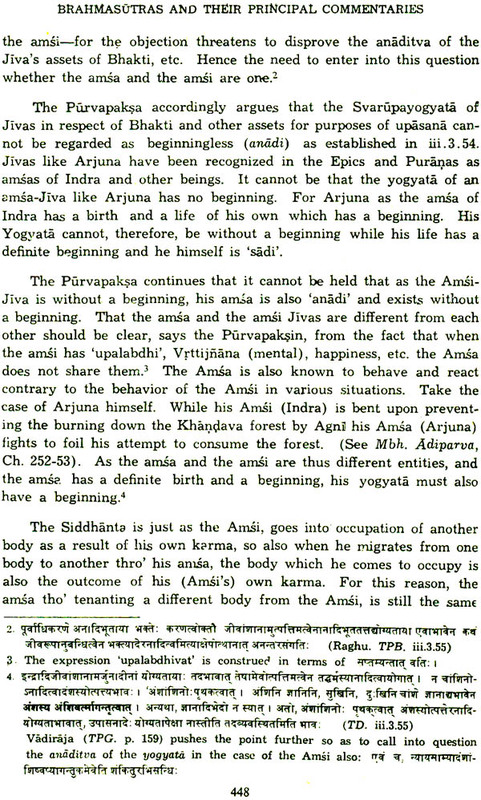 Tho’ each of these traditions has endeavoured to establish its own complete harmony with the Sutras, the march of the history of Vedanta in India has made it possible for the tradition sponsored by Madhva and his commentators to enter much more incisively and in greater detail than the others, upon a critical and comparative examination of its own and the other traditions of interpretation of the Sutras, while endeavouring to establish the consonance of its position with that of the Sutrakara. 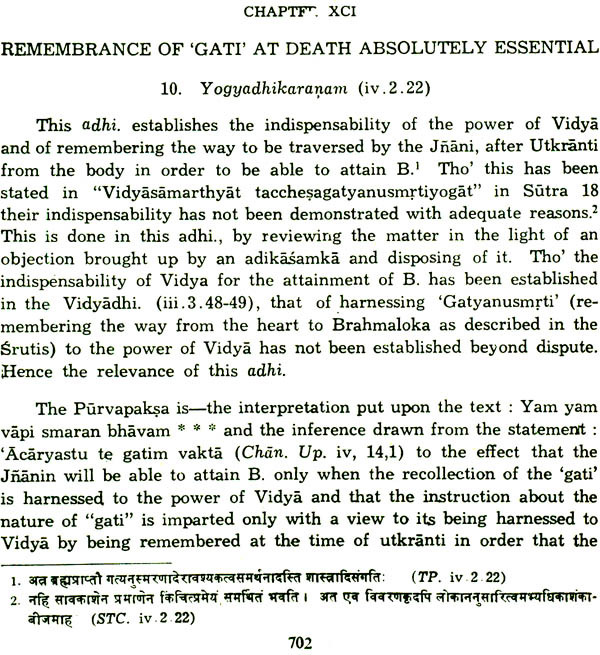 The most impressive work in this direction, it will be seen, has been done by Vyasatirtha in his Tatparya-Candrika. 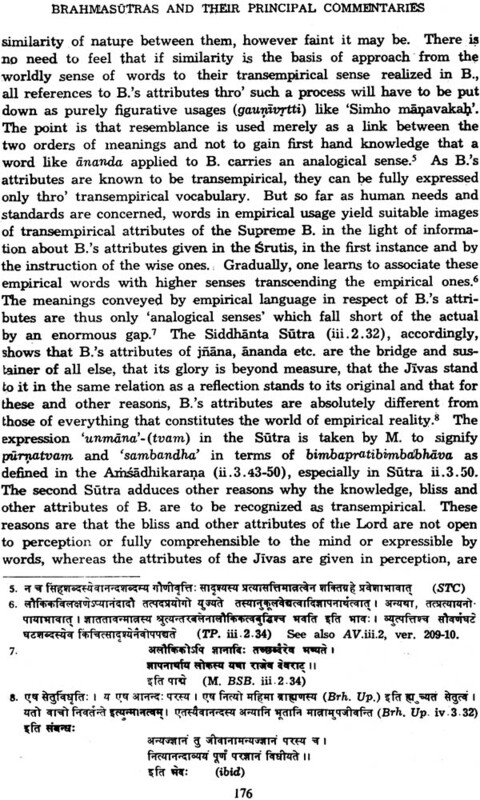 Besides going fully into the organic details of each adhikarana according to the different interpretations, he examines them in the light of the language and wording of the Sutras, their syntactic arrangement in the different interpretations and the nature, extent and admissibility of the liberties taken by the different commentators in resorting to anuvrtti, avrtti, apakarsa, adhyahara, laksana and other devices permitted in the interpretation of aphoristic texts. He has also applied the test of agatarthata, Adhyaya and Pada Sangatis and of self-consistency in interpretation. This is indeed a rigorous method of investigation and it should more than satisfy the requirements of modern critical scholarship, even if we hold with Thibaut that the question of what the Sutras really teach is a critical, not a philosophical one. It would be a decided advantage to modern critical scholarship if it incorporates the best part of this critical method with its own, in its further investigation of the problems connected with the interpretation of these Sutras. It has not been an easy task to bring the scholastic idiom, forms of thought and arguments of the great commentators within the norms of a modern language and a ‘foreign’ one at that. But the effort seemed to me to be worth making and I am glad I have made it. In a subject like the present one, it is difficult to avoid what Prof. Joad has so aptly called the ‘expression of obscurity’. But I hope I have not been guilty of ‘obscurity of expression’. The present Volume covers the whole of the first or the Samanvaya Adhyaya of the Sutras and the first Pada of the second (Avirodha)-Adhyaya known also as “Yukti-pada”. The remaining parts of the work are expected to be covered in the or two more volumes. It is my very pleasant duty to record my most hearty thanks to Prof Dr. Gerhard Oberhammer, Professor of Indology, University of Vienna, Austria, for his stimulating Foreword. My son Dr. Sudhindra K. Bhavani has helped me with the preparation of the Indexes and has checked the references and read the proofs at the initial stages. I thank him for his assistance. It would have been impossible for me to get this book published but for the princely donation of Rs. 5000/- towards the cost of its publication bestowed for the mere asking by the Trustees of “Sri Gangabai Charities Trust”, Madras, founded by the high-souled late Dharmabhusana Sri K. Seetharama Rao, Founder of the Dasaprakash Group of Hotels and Dharmaprakash Group of Institutions, in sacred memory of his parents: Bhakta Sri Govinda Dasa and Matussri Gangabai. To such overwhelming generosity, extended for the propagation of Adhyatmavidya, there is only one way of recording one’s gratitude and that is in the words of the Adhyatmasastra itself viz., I express my thanks to the Trustees of the Sri Gangabai Charities. 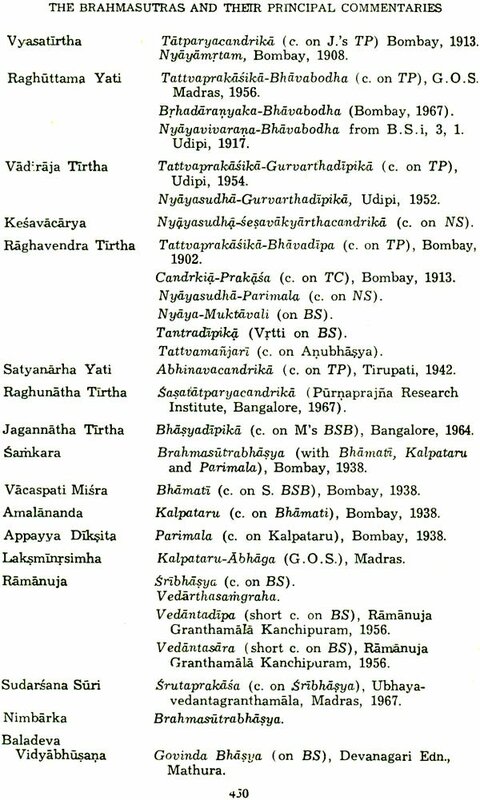 I am also beholden to the Management of the Ruparel College, Bombay, for its appreciative gesture in coming forward with its publication grant and to the revered Head of the Sri Palimar and Bhandarkere Mathas, Udipi: Sri Vidyamanya Tirtha and to the Head of the Sri Raghavendra Svami Mutt, Nanjangud and to my friends for their support. We have pleasure in placing before Sanskrit scholars and students this second volume of Dr. B. N. K. Sharma's work: "Brahmasiitras and Their Principal Commentaries", of which the first volume was pub- lished in the Bharatiya Vidya Series, in September 1971. 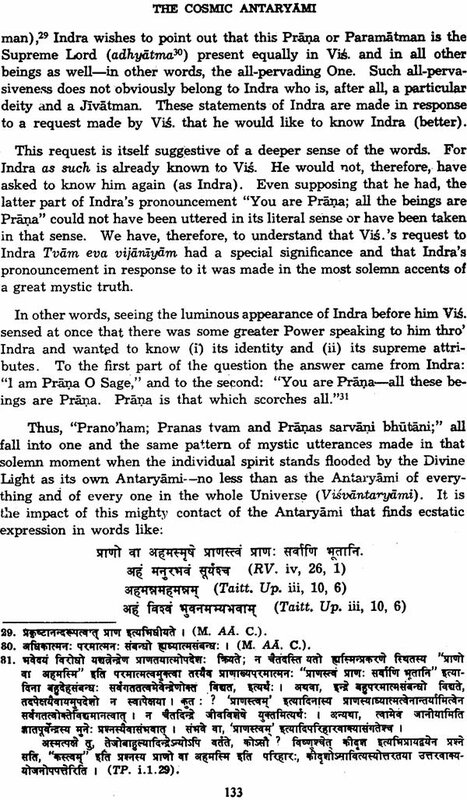 The importance of the Brahmasutras in the evolution of India's phi- losophical thought and its culmination in the Vedanta Darsana need hardly be emphasized. Dr. Sharma, an eminent Professor of Sanskrit brought up in the best traditions of ancient and modern scholarship, criti- cally examines the commentaries of Samkara, Ramanuja and Madhva, the three great exponents of Indian philosophy and sometimes the com- mentary of Bhaskara also,-as in the course of his first volume. 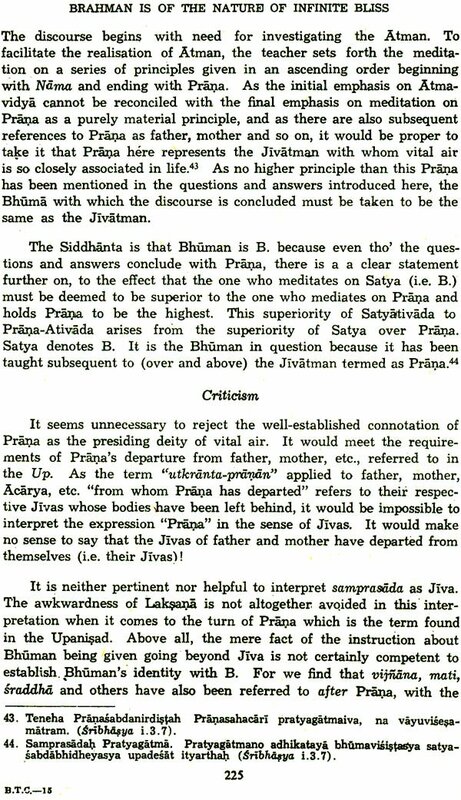 Follow- ing the same plan of exposition and criticism, he has introduced the niceties of thought and interpretation from the great commentaries on these Bhasyas of these Acaryas by their eminent followers like 'Vacas- pati Misra, Amalananda, Sudarsana Suri, Jayatirtha and Vyasatirtha, to mention only the more important ones. The present Volume covers the second, third and fourth Padas of the Avirodha Adhyaya and the first Pada of the third Adhyiaya. The second Adhyoaya is called the Avirodha-Adhyaya. 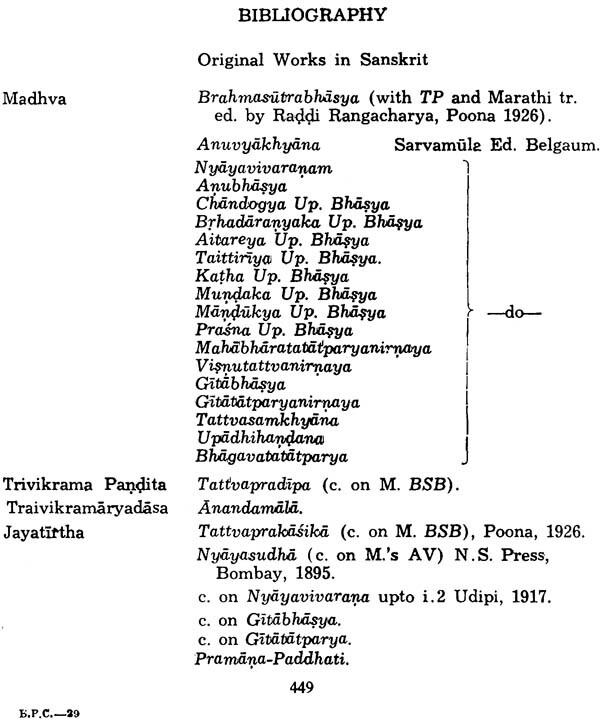 Its four Padas are called by Madhva Yuktipada, Samayapada Srutivirodhapariharapada and YuktisahitaSrutivirodhapariharapada. It may be noticed that the second Pada of Adhyaya II which is called Tarkapada by Sarilkara and others is designated as Samayapada where the word Samaya is used in the sense of a school or Darsana, This Pada is naturally of absorbing interest to all students of philosophy as it contains Badarayana's re- view of all the other schools of philosophical thought current in his .time. 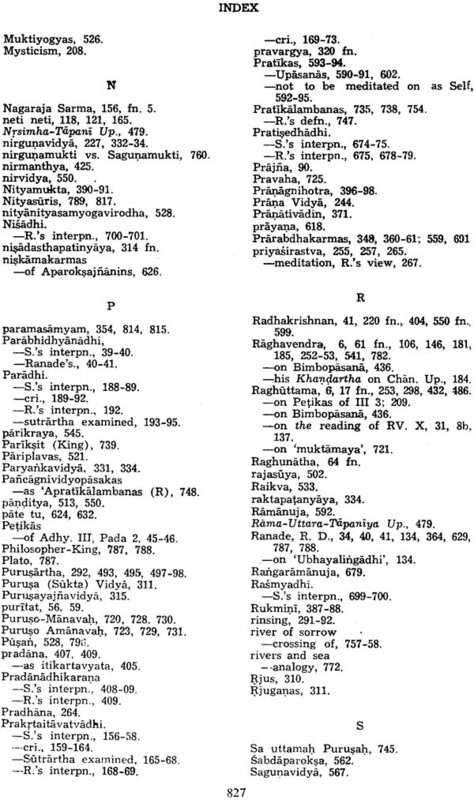 Almost all the other Acaryas have taken the first ten Sirtras begin- ning with Racananupapatteh to refer to the refutation of Nirisvara- Samkhya, According to Madhva, these ten Sutras are divided into five adhikaranas and they refute four shades of Samkhya doctrine (a) Niris- vara (b) Sesvara (c) Prakrtyupasarjana-Purusakatrtvavada (d) Puru- sopasarjanaprakrtikartrtvavada and (e) the Carvaka school. Madhva finds justification in refuting Carvaka at this stage in this Pada, If Jainas and Bauddhas are refuted, why not the Carvaka also? samkara feels that Carvaka is refuted in Eka atmanas sarire bhavat. (iil, 3, 53). 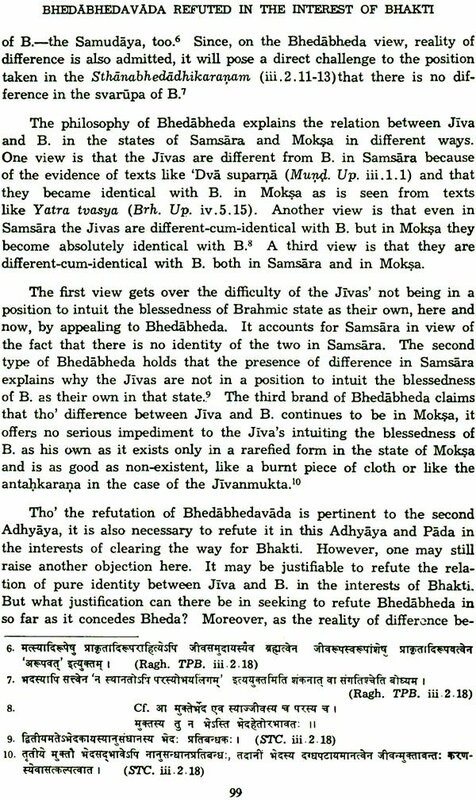 But Madhva feels that as Adhyaya III is a Sadhana-Adhyaya the re- futation of Carvaka will be more appropriate to Samayapada than to Gunopasamharapada in Adhyaya III. 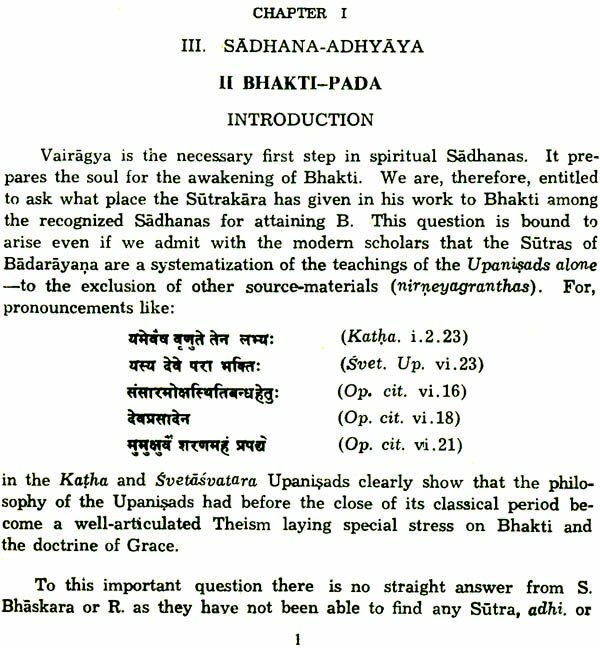 The most debated adhikarana here is the last one which most of the Bhasyakaras have regarded as a review of the Bhagavata or the Pancaratra school. Dr. Sharma calls for a fresh look at this adhikarana as a possible review of the prestigious sakta system. Samkara does not give any place to refutation of Saktadarsana. 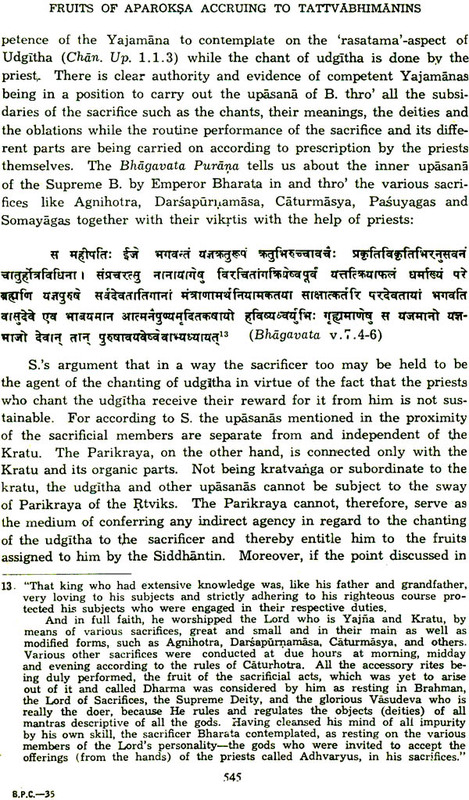 According to Madhva, the Pancaratra school is not refuted here by the Sutrakara as there is nothing objectionable according to the Surtrakara in that school. Objec- tions against Pancaratra, according to Madhva, are frivolous. 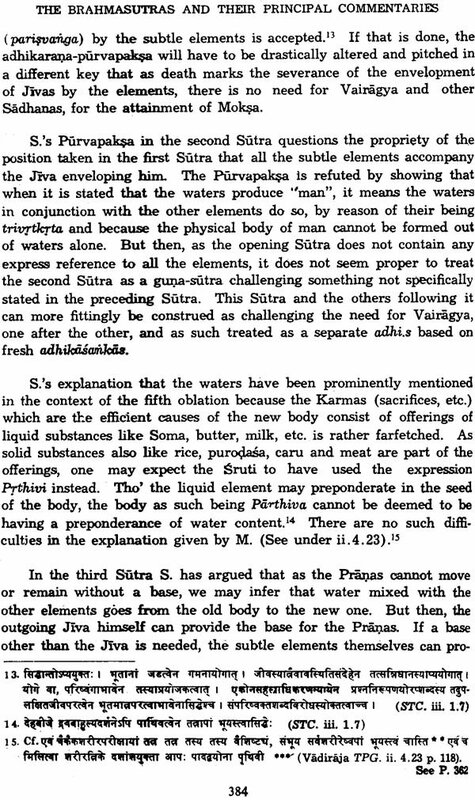 Pancara- tra refers to "Jivotpatti" but as Jiva is "nitya" according to Vedanta, the 'utpatti' of Jiva refers to the utpatti of Samkarsana and other mani- festations of Brahman and not to the origination of the individual soul. And Samkarsana and others, according to the Pancaratra, are mani- festations of Brahman and they are equal to Brahman and from Purna- Brahman we can have the manifestation of other Puma forns like Samkarsana, because of the VicitraSakti of Brahman. The issue is worth pursuing. The third Pada is philosophically the most important and has a living interest to students of philosophy and religion; for here we meet with the intimate questions relating to the agency of the Atman, his dimension, relation to Brahman as its amsa and so forth. Madhva gives a fresh definition of amsa as "Tadadhinatve Sati tatsadrsatvam." 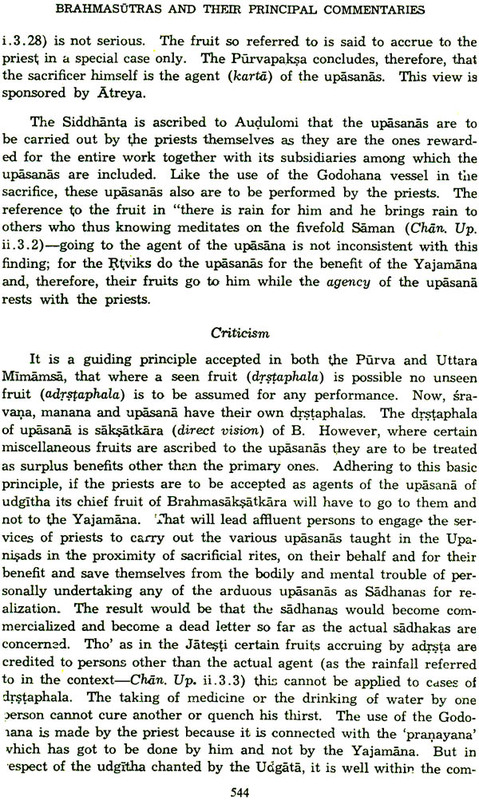 As explained in the first Adhyaya, Madhva states that Brahman is the nimittakarana and Prakriti is the upadanaldarana. 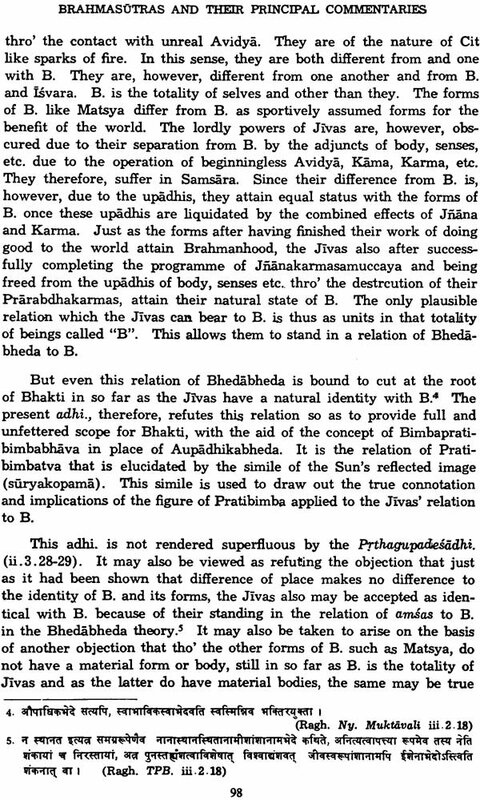 Jiva is created in the sense of Paradhmavisesapti. 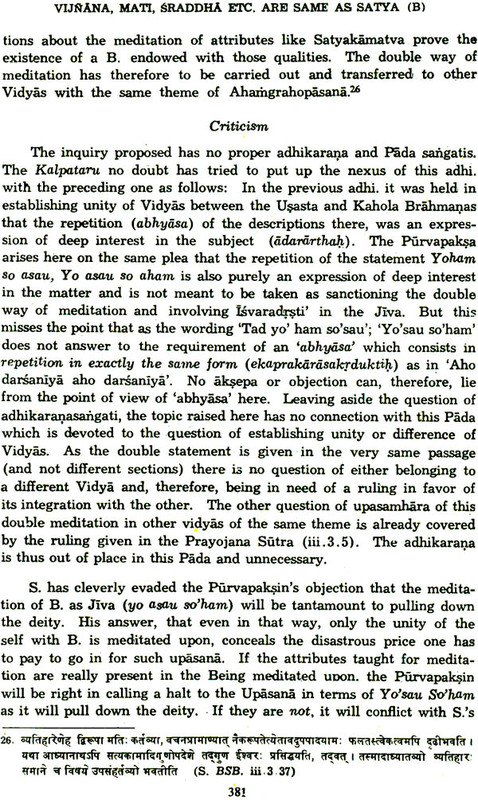 In the Viyadadhikara:r,ta, Madhva explains that Viyad or Akasa has two senses of space and ether. Space or avakasa cannot be created except in the sense of Paradhmavisesapti. We are confident Dr. Sharma's close analytic study of these and other interesting problems will prove an indispensable and enlighten- ing tool to Tarkarasikas of both Indian and Western philosophy. It is gratifying that so much research and writing exists about Indian philosophy. For those who write in English it is perhaps dis- appointing that Indian philosophy is not more studied and taught in the West. However, a number of prominent writers have laid the founda- tions for a deeper appreciation of the patterns of Indian thought. One of these distinguished writers is undoubtedly Dr. B. N. K. Sharma, whose massive and pioneering History of the Dvaito: School in two volumes is one of the most important contributions to the history of Indian philosophy. He is also of course known for his more popular writings. But perhaps what in essence is his most vital contribution is his ability to look at Vedanta in perspective. For various reasons Advaita has had a dominant position in the consciousness of the Indian tradition aroused by writers in the nationalist period-for instance by Vivekananda and Radhakrishnan. Perhaps now there has been some shift of emphasis, and Dr. Sharma is one of those principally responsible. All this is brought out well in his Brahmasutras and their Principal Commentaries, the first volume of which has already attracted favour- able notice. It is a great pleasure for me to commend the second volume. It is a systematic work and will be of considerable use for both teachers and students of these seminal texts. 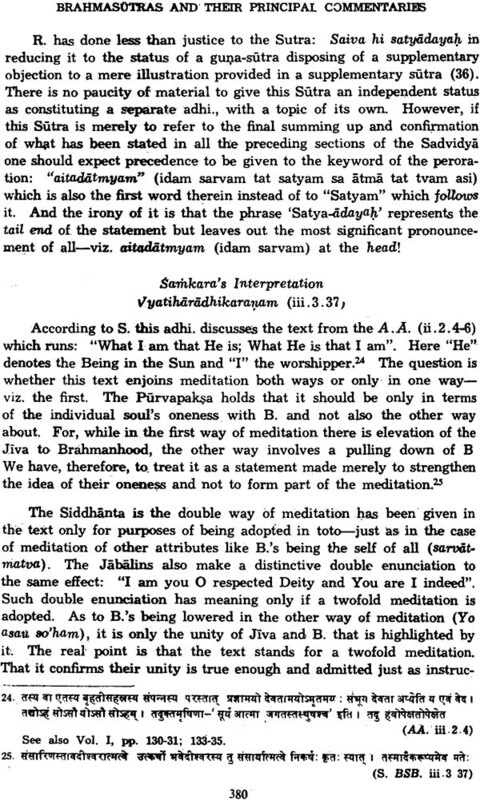 It adds to the use of the work that though essentially the commentary is in English it includes a full notation in Sanskrit to assist the scholar. 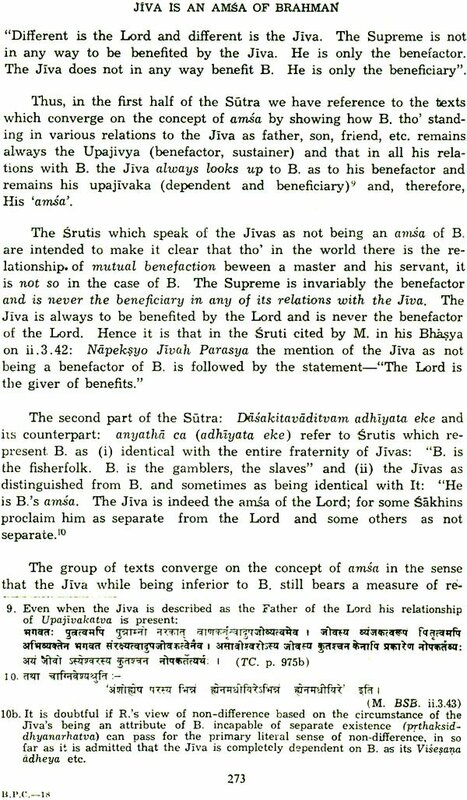 Dr. Sharma's interest in Dvaita is reflected in the fully balanced way in which he shows the positions of Samkara, Ramanuja and Madhva (though he also of course draws on other positions-Indian both ancient and modern and Western). I have learned much from this book: may others do so also. We are happy to bring out the third volume of Dr. B. N. K. Sharma's vigorous and animated study of the Brahmasutras and their Principal Commentaries of the three famous schools of Vedanta with the full complement of their respective commentarial literature, in depth. It places before the world of scholars here and abroad the most detailed and penetrating study of the subject that has been carried out since George Thibaut's first analysis and comparison of topics and their inter- pretation in the Bhasyas of sa:rhkara and Rarnanuja in 1890, followed three decades later by the Indian scholar Dr. V. S. Ghate, widening the area of inquiry to include the outlines of the Bhasyas of Nimbarka, Madhva and Vallabha. After a gap of more than half a century, Dr. B. N. K. Sharma, who is an eminent Professor of Sanskrit brought up in the best traditions of ancient and modern scholarship and is the most renowned contem- porary scholar and writer of the Madhva Sampradaya, has entered the field and has enlivened the study of the Sutras and their commentaries with his magnum opus. 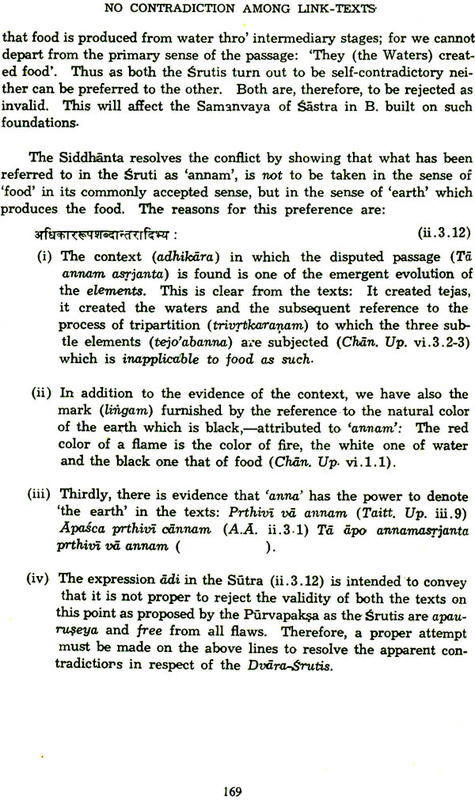 Dr. Sharma has not only plumbed the depths of several standard commentaries of the three schools of Vedanta in addition to their ori- ginal Bhasyas, for the first time, in a study of such magnitude, but has given us an adhikarana-wise study of the entire Brahmasutras according to each of these traditions of interpretation. In this he has indeed broken new ground. It deserves to be noted with special grati- fication from the point of view of the scholarly tradition of India that while doing so Dr. Sharma, with his close study of the subject in the intensive method of traditional Pandits, has brought to bear on his ex- position the entire repertoire of the critical and exegetical apparatus of traditional analysis of the Sutras in terms of their sastra, Adhyaya, Pada, Adhikarana and Anantarya Sangatis which reveals the mor- phology of the Sirtrakara's system and makes clear the working of its internal dynamics in all its bearings. There is no doubt that Dr. Sharma's work ushers in a new genre of creative and critical literature in lively English on the fascinating yet the most difficult subject of the Brahmasutras and their famous commentaries by the renowned Acharyas and their eminent followers. His work has gone beyond all the earlier ones on the subject in any modern Indian or foreign language including English in its scope, range and depth and attention to significant details. It is bound to remain a standard work of study and reference and an indispensable guide and aid to higher studies in Vedanta or several decades to come. I congratulate Dr. Sharma heartily on his brilliant achievement and compliment the Bharatiya Vidya Bhavan for bringing out this im- portant treatise on the Brahmasirtras and their principal commentaries in the prestigious Bharatiya Vidya Series where it rightly belongs. The greatest importance of Dr. Sharma's three Volumes lies in the fact that they are indispensable for a comparative study of the views of the various Acharyas. It is a pleasure to join the esteemed company of Gerhard ober- hammer and Ninian Smart in recommending Dr. B. N. K. Sharma's monumental work on the Brahmasutras and their principal commen- taries. 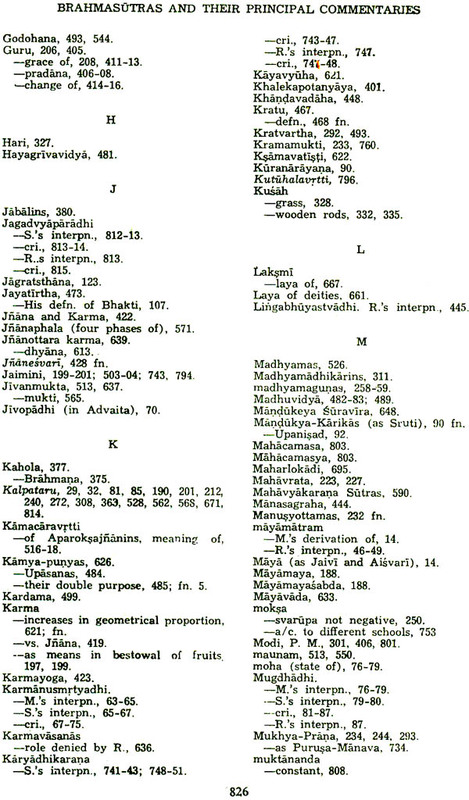 These volumes, as their readers know by now, explore in depth the critical literature on the Brahmasutras, especially emphasizing the commentaries of Madhva which have not received as much attention as others, as well as for the first time exposing to general view the com- ments of great sub-commentators such as Vacaspati, Vyasatirtha, and many more. The result is an analysis of the Brahmasutra literature which goes far 'beyond previous works, such as those by Ghate ana Radhakrishnan, in scope and detail. The present, third, volume of the work covers the last two adhyayas in which matters of crucial relevance to the understanding. of religious thought and behavior are addressed. These chapters are far less often studied than the philosophical material of the first two chapters. Furthermore, it is over matters of practical approaches to the highest states of human aspiration, dealt with here, that some of the most important divergences among the several Vedanta schools are to be found. The following pages are therefore of particular interest and im portance to students of religion as well as of philosophy. Being myself involved in organizing and conducting a project of summarizing classical Indian philosophical works, for the 'Encyclo- pedia of Indian Philosophies', I am especially interested in the method of summarizing as a means of getting at the essence of such materials as these. My experience suggests that the method of summary places especially severe requirements on the summarizer, who must be tho- roughly acquainted with the text as well as fully awake to the nuances of his material and its place in the whole of which it is a critical part. Professor Sharma is the ideal summarizer: his long life of scholarship in Indian philosophy, his active participation in the unravelling of thorny analytic issues, and his leadership in promoting interest in and knowledge of the Dvaita interpretation of Vedanta make his every choice of words, of authority appealed to and line of analysis followed, of tremendous value to students and scholars of the subjects he treats. I am sure this work will take its proper place as a classic. My felicitations to its author. IV Conscious Living in Waking State Dependent on B.
L Change of Guru-When permitted? CIV Have Muktas any Masters in Release ?